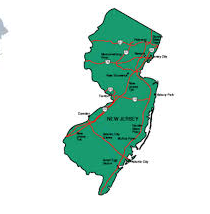 The Garden State is back in the production tax credits game. Gov. Phil Murphy signed legislation Tuesday morning restoring the state’s tax incentive program, which had been on hiatus during the governorship of Chris Christie. The program allocates up to $85 million in credits annually for the next five years, commencing immediately (technically, July 1 of this year). The incentive ranges from 30 to 37 percent, depending on production location and diversity.